Andi Eigenmann’s female co-stars on the show ‘The Greatest Love’ give their all-out support. 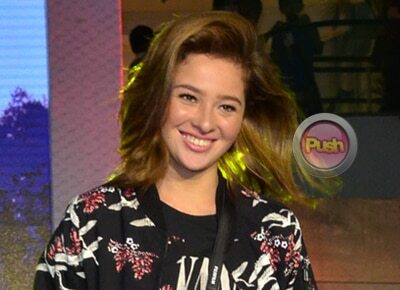 Andi Eigenmann had Ellie in mind the moment her daughter’s paternity was revealed to the public by her sister Max Eigenmann , according to Dimples Romana. Turns out that the young star was on the set of their soap The Greatest Love when the news broke out. “Andi is a strong woman. She’s okay. We were there, whichever it is that you’re talking about and I think it helped that we were there,” Dimples shared during the Alzheimer’s Awareness Forum organized by their show. Stressing that it’s not her story to tell, Dimples shared that Andi’s first thought was Ellie. But, according to Dimples, Andi stayed professional despite the incident and did not allow the issue to affect her work on their show. “Ang ganda lang kasi I’ve been with her because lagi ko siyang kasama for some reason and she never changed. Bata pa hanggang ngayon, even stronger now because she’s a mom. You know how motherhood makes you,” said Dimples. For what it’s worth, Dimples said Andi did not ask for any advice from her. “Actually it was Nanay who gave her [some] advice. May binulong si Nanay na hindi ko alam kung ano ‘yun kasi sa kabilang side kasi ako,” she said, referring to what their Nanay Sylvia Sanchez did. The seasoned star, for her part, echoed what Dimples said and claimed that she was “okay” and that she still performed well on the set. “Naguusap kami pero bilang nanay. At kung ano man ang issue ngayon about kay Andi, hinahayaan ko ‘yun sa kanya. Basta ako nandito lang ako para suportahan si Andi because I love her,” she ended.